When one trailer just isn't enough the Drake B-train allows two trailers to be towed in tandem. The trailer functions normally on its own, but the suspension setup can slide back. When it does this it reveals a hookup for the second trailer. Full power/braking hookups for the second trailer run through the first and into the sliding suspension. A full demonstration is available in the video linked to the right. 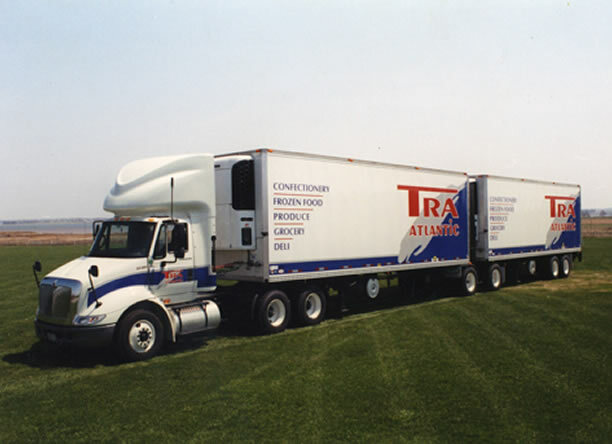 The B-train system has a suspension that slides behind the trailer with a pick-up plate for the second trailer to connect to. Trailers that are thirty feet longer or less are suitable for the B-Train System. This B-train system has many advantages and is used throughout the US and Canada.